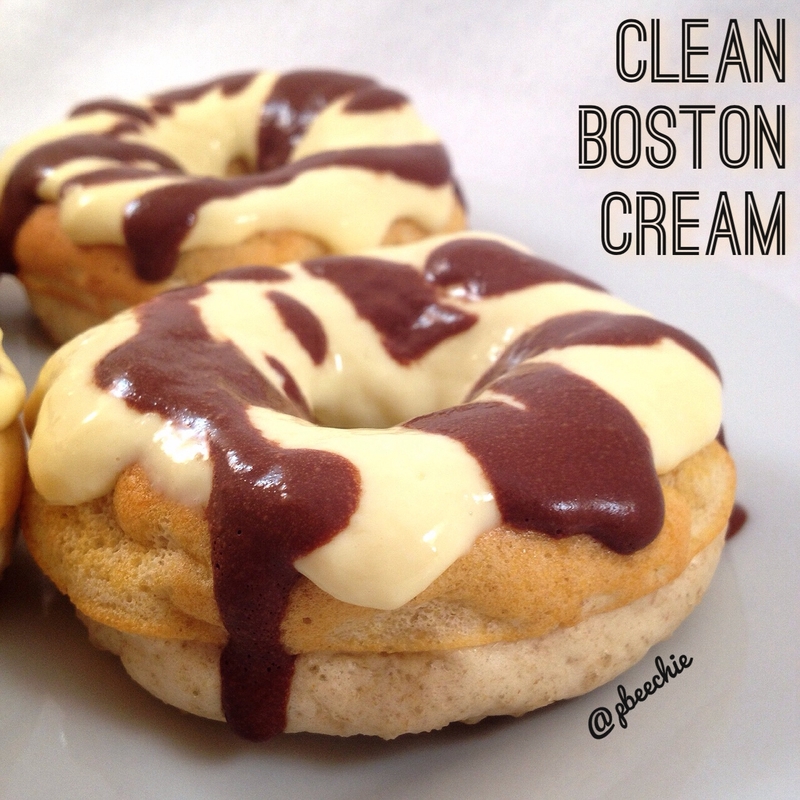 This custard icing is sure to fix any donut craving. Preheat your oven to 350F. Grind the oats into a flour. Then add the 1 TBSP almond flour, 1/2 scoop vanilla whey protein, 3 egg whites (save one yolk! ), 3/4 tsp baking powder, 1 tsp vanilla extract, and 2 stevia packets. Blend again. Pour into a sprayed donut mold pan, making 4 donuts. Bake at 350F for 10 minutes. While thatâ€™s baking, make the custard icing by blending the 1/3 cup lowfat cottage cheese, 1 egg yolk, 1 stevia packet, 3/4 tsp butter extract, and 1/8 tsp xanthan gum. The xanthan isnâ€™t necessary but it thickens it up like a real custard. Then make the chocolate drizzle by mixing the 1/2 TBSP unsweetened cocoa powder, 2 tsp unsweetened almond milk, and 1 stevia packet. When the donuts are done, remove and top with the icing and chocolate.